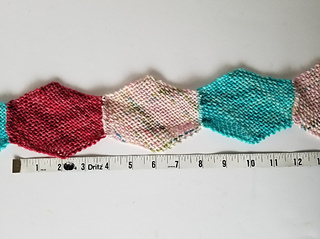 Use 7 hexagons in any worsted weight yarn, any colors, to make this fun ankle moebius. 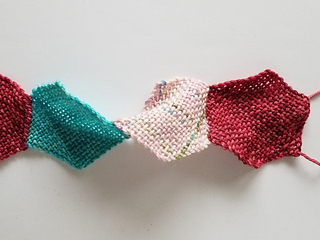 We used hand-dyed worsted weight yarn from The Sheepwalk™️ in "Retro" colors. 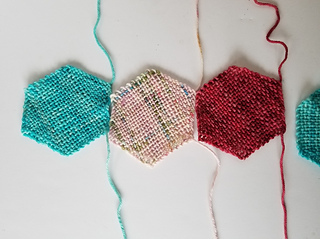 Weave 7 hexagons and lay them out side by side as the come off the loom, start tail up, end tail to the right. 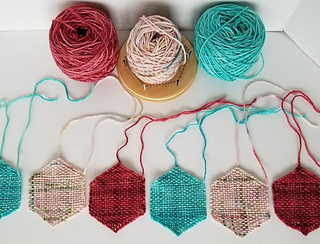 ... then turn the first hexagon as shown. The start tail now points to the right and the end tail down. 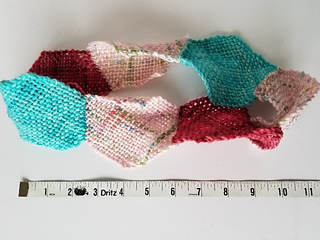 You can see how the fabric direction looks "different", or sideways. 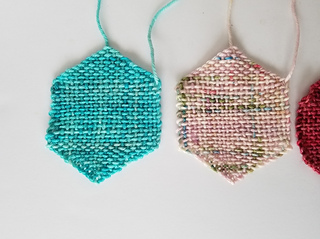 Rotate the second hexagon the same way and sew those two hexagons together along the side where they touch. Repeat this step for all other hexagons. 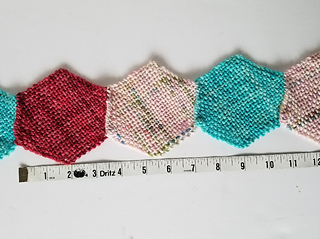 To show what the "bias" stretch does ... unstretched, three hexagons are about 10.5" in length. 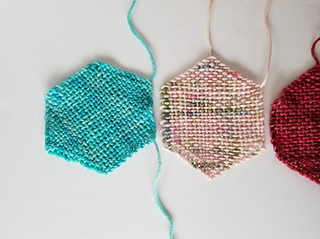 You can stretch those three hexagons on the bias to 12" in length. 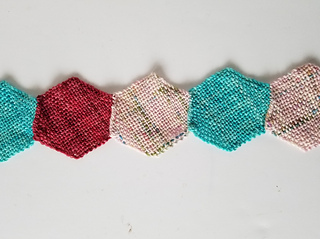 To get the moebius effect, flip one end of the hexagon string over before you connect the first and the last hexagon to make a loop. This is what the finished moebius looks like. Unstretched it measures about 22" all around. 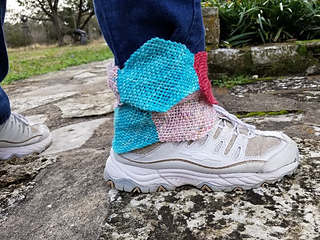 Here is another fun (and safe) alternative to the ankle scarf, it’s a moebius cowl for your ankle, made of just 7 pin loom woven hexagons. 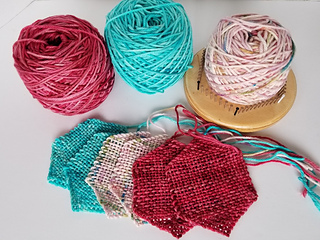 The hexagons are woven on the 4” original TURTLE Loom, using about 42 yards of hand-dyed worsted weight wool by The Sheepwalk™️ in “Retro” colors. 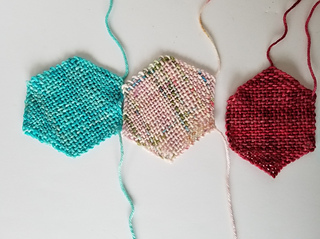 Follow the photo instructions to achieve maximum stretch by using the hexagons “on the bias”. 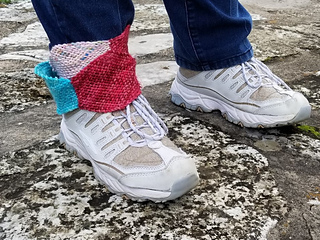 A great project to start 2019 on the right foot.